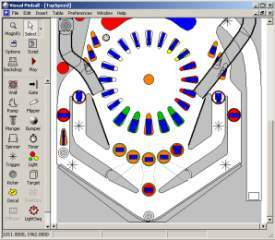 Caiman free games: Visual Pinball by Randy Davis - IRP team. True 3D rendering. Tables come alive with realistic shading and shadows. 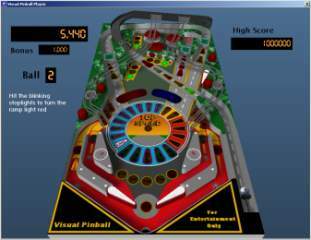 Choose to view the table at any angle, at any resolution - a small window to play while multi-tasking or full-screen max-resolution for the complete pinball effect. Shaped Lights. Flashing arrows, arcs, semi-circles; lights can be made into any shape you deisre, or choose a simple circle to quickly whip a concept up. Add images to your board. Add your own pictures to walls, floors, spinners, bumpers, and targets to give your game a distinctive personality. Choose any color you want for other parts like flippers, lights and text displays.